Elton John attending the premiere of The Union at the Tribeca Film Festival. Elton John is a famous English singer-songwriter and pianist. In a career spanning over half a century, he has sold over 300 million records. One of his most famous songs is Candle in the Wind 1997, which sold over 33 million copies all over the world. His other famous songs include Crocodile Rock, Goodbye Yellow Brick Road, Someone Saved My Life Tonight, and Sorry Seems to Be the Hardest Word. He began as a pianist in the local pub. In 1967, he teamed up with lyricist Bernie Taupin starting the beginning of their legendary songwriting partnership. He released his debut album Empty Sky in 1969. He was married to Renate Blauel from 1984 to 1988. He married David Furnish in March 2014. The couple's two sons were born to them via surrogate. He was knighted by Queen Elizabeth II in 1998. Elton John during a live performance (1975). Elton John, English singer-songwriter and pianist, on stage at the Keepmoat Stadium, Doncaster, England. Publicity photo of Elton John and Bernie Taupin. 1979 - Elton John at The Rosengarten, Mannheim. Elton without glasses. Elton John is a famous English singer and songwriter, who was born on March 25, 1947. As a person born on this date, Elton John is listed in our database as the 3rd most popular celebrity for the day (March 25) and the 7th most popular for the year (1947). People born on March 25 fall under the Zodiac sign of Aries, the Ram. Elton John is the 47th most popular Aries. 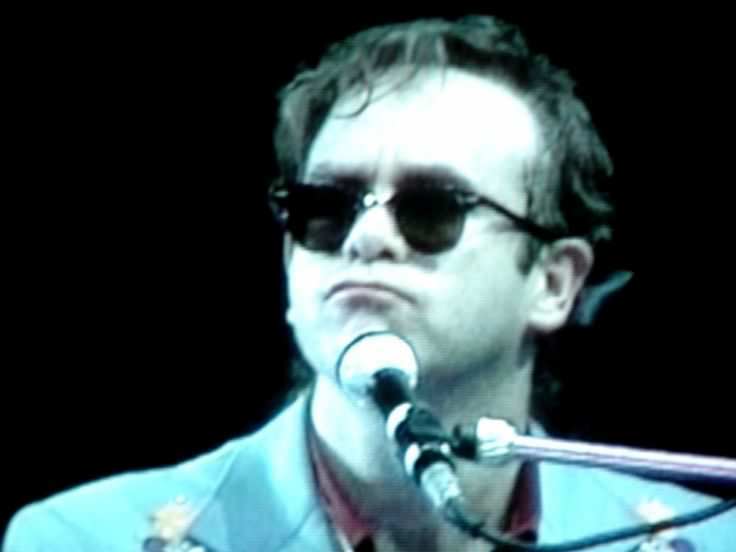 Aside from information specific to Elton John's birthday, Elton John is the 41st most famous English. In general, Elton John ranks as the 519th most popular famous person, and the 56th most popular singer of all time. “The Famous Birthdays” catalogs over 25,000 famous people, everyone from actors to singers to scientists to serial killers and more. If you're curious to see who was born on your birthday, you can use our database to find out who, what, where, when and why. You can search by birthday, birthplace, claim to fame or any other information by typing in the search box, or simply browse our site by selecting the month, the day, the horoscope, or any other clickable option.